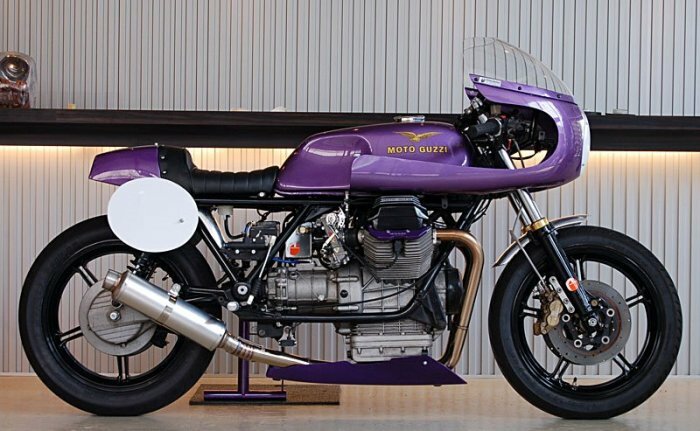 The Italian owner of this Moto Guzzi café racer Michelangelo Possidente turned 18 a few months ago and had to decide on his first motorbike. 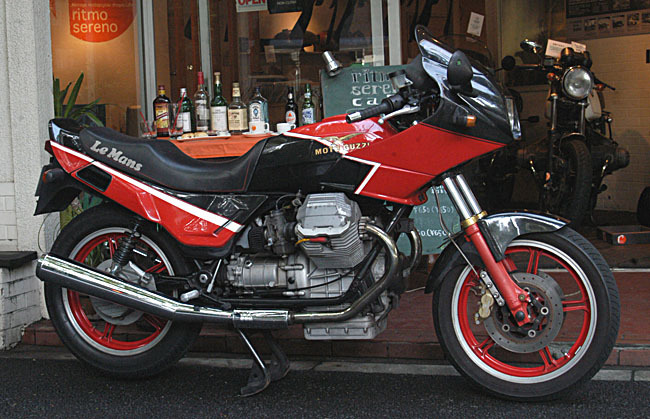 “I had to choose whether to buy a Japanese bike or a power limited Guzzi V35 III, I decided to buy the V35 III and build a unique bike!” Michelangelo explains. 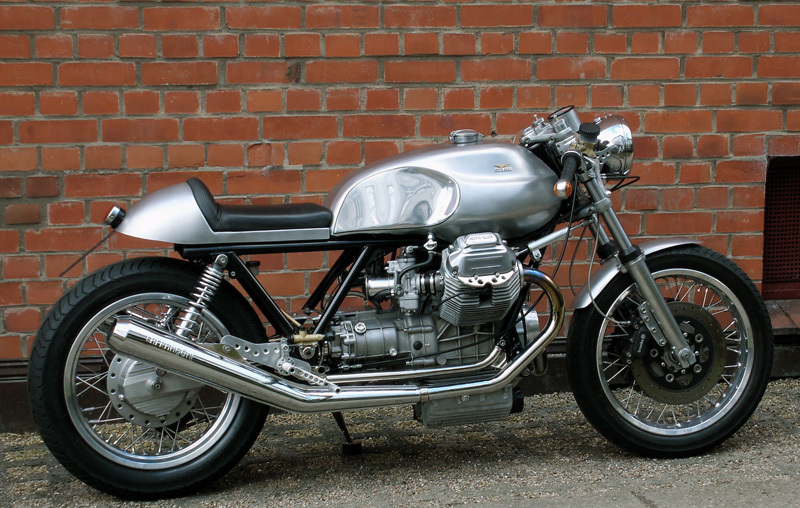 This Guzzi is his first ‘creation’, and he goes into detail about what he has done to this V35. 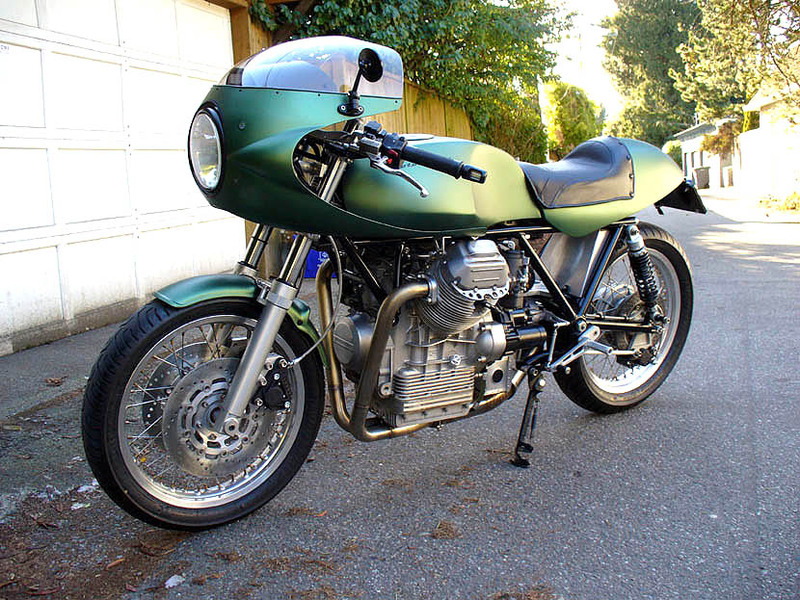 This Guzzi was sent in by George Dockray from Vancouver who used to be an airplane mechanic but is now a pilot flying float planes around the B.C Coast. 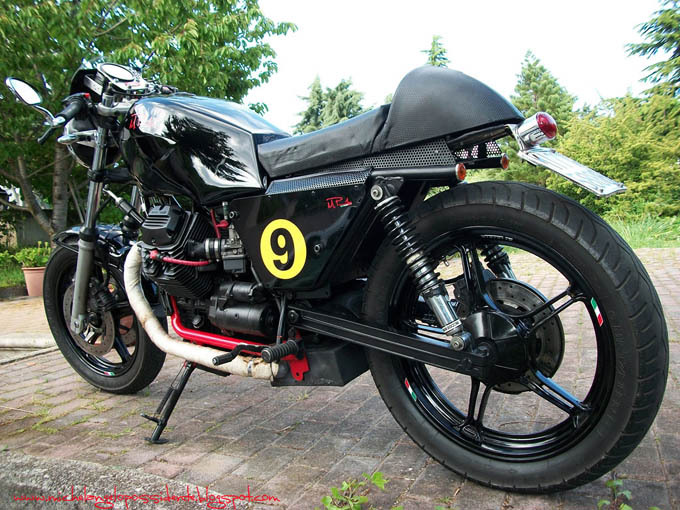 I thought it would be best to let George describe this unique Guzzi build: “This particular Guzzi was inspired by the contenders at Cartagena, Spain in the vintage series there. I had seen various things on the web about the series and then four years ago I flew over there to see for myself. 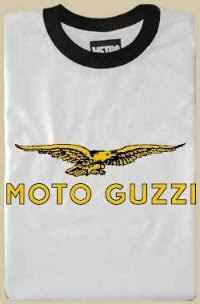 Guzzi’s dominate the series, especially a rider and builder named Manel Segarra. 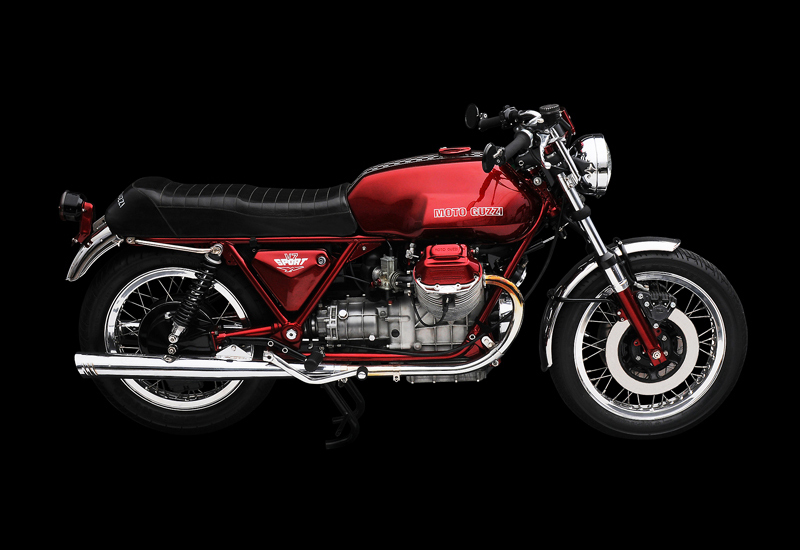 Suitably enthused, I decided to build a “Segarra Replica” of sorts – a heated up version of the Guzzi hot rod I already had. 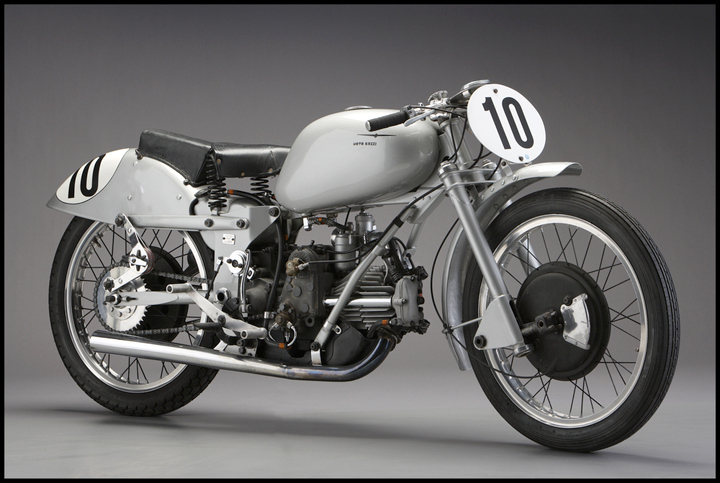 Kind of a classic case of “what happens when you heat the garage”. 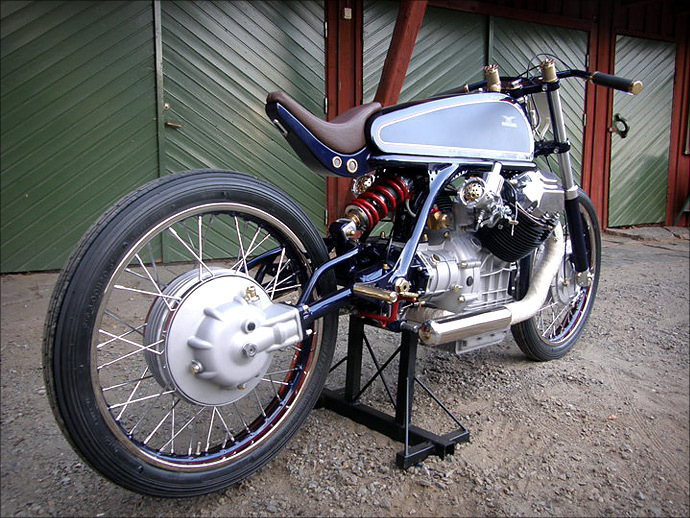 The project was acquired piece by piece, built and assembled over about 2 1/2 years. 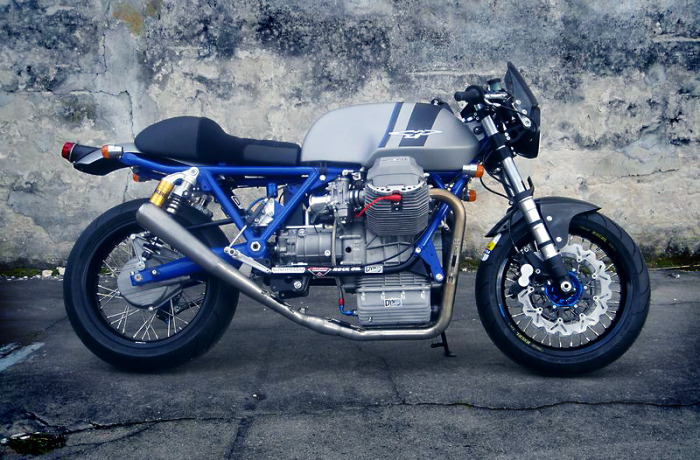 The idea was to have a cafe-come 70’s endurance racer with some reasonable up-dates and conveniences”.